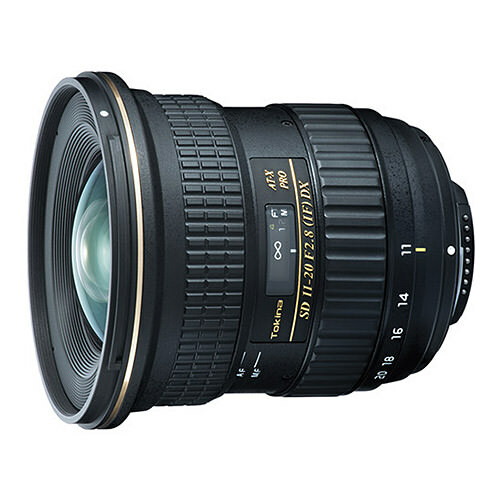 Lens Description: A versatile wide-angle zoom for Nikon DX-format DSLRs, the AT-X 11-20mm f/2.8 PRO DX Lens from Tokina offers a 16.5-30mm equivalent focal length and features a constant f/2.8 maximum aperture for maintained brightness throughout the zoom range. 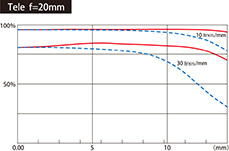 One P-MO hybrid aspherical element and two glass-molded aspherical element work in tandem to minimize distortions and control various aberrations while three SD ultra-low dispersion elements reduce chromatic aberrations for increased clarity. 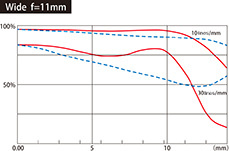 A multi-layer lens coating has also been applied to further enhance overall light transmission and color accuracy by suppressing lens flare and ghosting. Well-suited to working in a wide variety of situations, this ultra-wide zoom covers an array of wide-angle perspectives while maintaining consistent illumination for working in challenging lighting.